Ah, back to school time. Since we just started with the school routine as Thing 1 began kindergarten, I can see it’s an annual ritual that kids probably dread but parents probably welcome it. Except, that is, for the costs involved each year for new clothes and supplies. 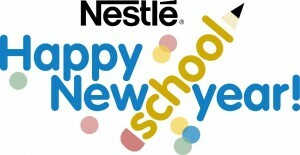 So I’m letting everyone know about a sweepstakes I just entered from Nestle Family for a $5000 giveaway. You can enter each day to win a messenger bag filled with school supplies. The grand prize will be selected at the end of the month and also includes a $2000 Literacy Grant for your child’s school. Thanks for the heads up. I could use extra school supplies for my kids as well.